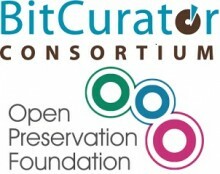 The Open Preservation Foundation will be running two online hack weeks during 2019. The first, which will take place on 8-12 April, will focus on development. A second hack week will take place in September, with a goal to update and create new documentation. The aim of the development hack week is to improve JHOVE for the benefit of its users. We plan to concentrate on the ‘quick fixes’ to reduce JHOVE’s issue list and make it easier to assign bug fixes and new features to future releases. There’s a variety of tasks so everyone should be able to find something they can work on given the time, knowledge and skills available to them. We need your help! JHOVE is an open source validation tool that is widely used across the global digital preservation community. It is free to download, use and amend to meet your organisation’s requirements. However, it is not free to host, maintain or develop. Only OPF members support JHOVE financially through part of their membership fees. We are only a small team and are responsible for maintaining other tools in addition to JHOVE. We receive development effort contributions on an ad hoc basis from our members and the digital preservation community so would like to say a big THANK YOU to everyone who helps to improve JHOVE for the benefit of the whole community.